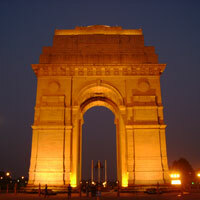 Delhi is the heart of India and is place of divine history, music and folklore and traditions. Itâ��s a hub for the people of all religion living with peace and harmony. If you are planning to visit and experience the delight of this place, you can contact HOTEL SHRI SAI MURLI. It is also a Tour &Travel company offering you flexible and reasonable Delhi Tour Package. With us, you donâ��t have to worry about the comfort, booking and many other travel responsibilities, as we provide you hassle free services. Moreover, our Travel experts provide you friendly environment and take care of you like a family.